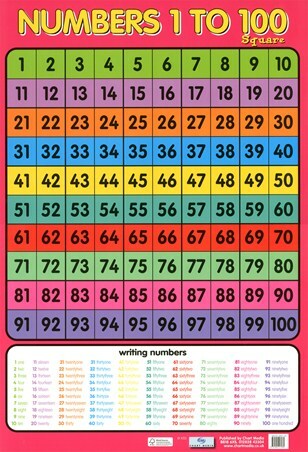 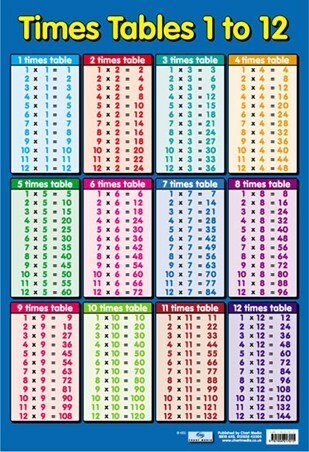 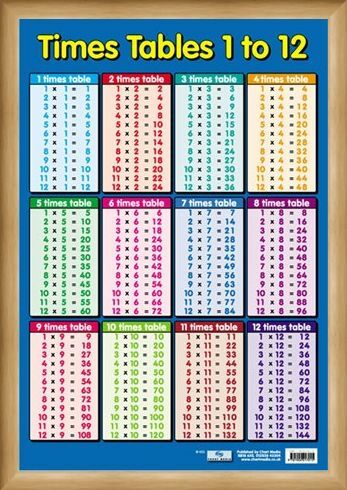 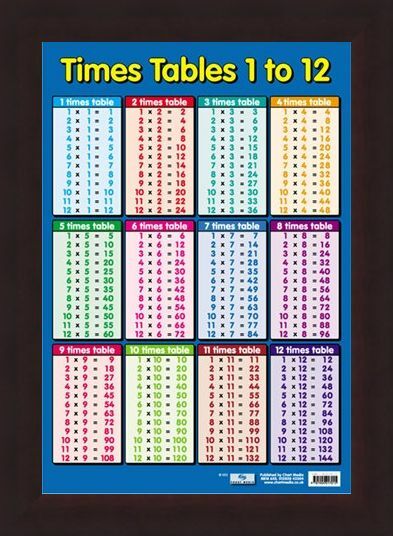 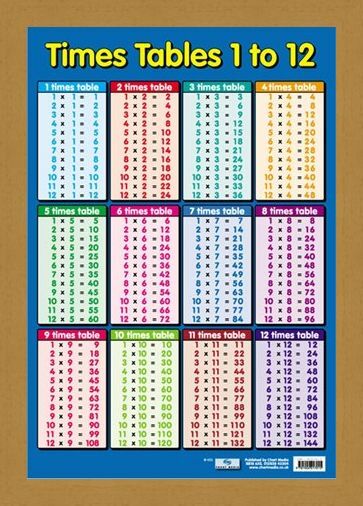 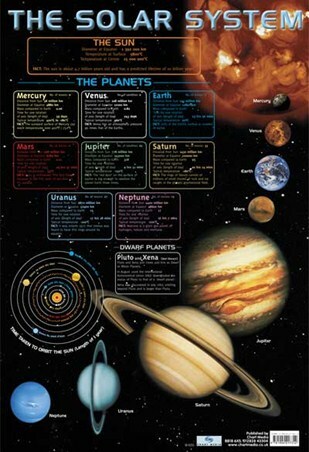 Educational Times Tables Mini Poster: This glossy educational children's poster is an easy to understand chart of all the times tables from 1 to 12. 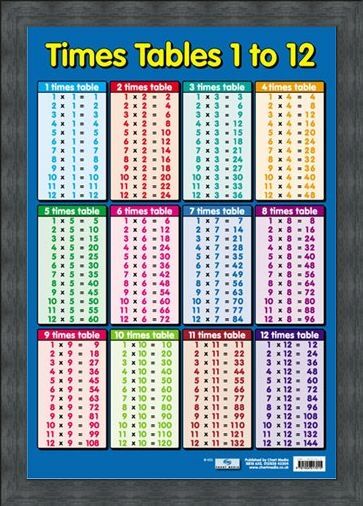 Each box is colour coded with a simple layout. 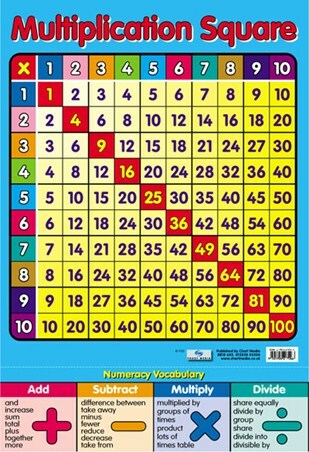 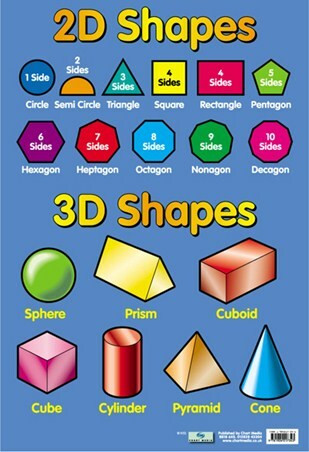 Mathematics is still one of the core learning subjects after hundreds of years and with multiplications laying the foundation for many mathematical operations, this is the perfect start to help your child on their way to becoming the next Einstein. 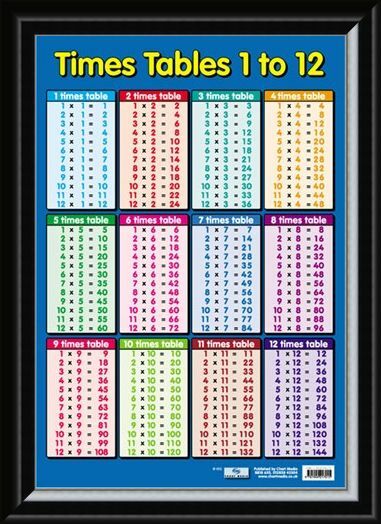 High quality, framed Times Tables 1 - 12, Educational Children's Maths Chart mini poster with a bespoke frame by our custom framing service.